It's so important for marketers and bloggers to stay on top of all the latest social media updates. Competition between the social networks is fierce and as its biggest users we benefit from using their latest innovations. To make things easier we compile a monthly list that showcases the biggest changes and sort them by network. Now there's no excuse for falling behind! We don't often include Reddit in these lists, but lately the popular site has been taking steps toward becoming more of a social platform. According to Wired, who interviewed the VP of Product at Reddit, users are increasingly looking for new ways to engage around real-time topics. Their answer is to revive chat rooms, where people can enjoy back-and-forth discussions in a user-friendly environment. 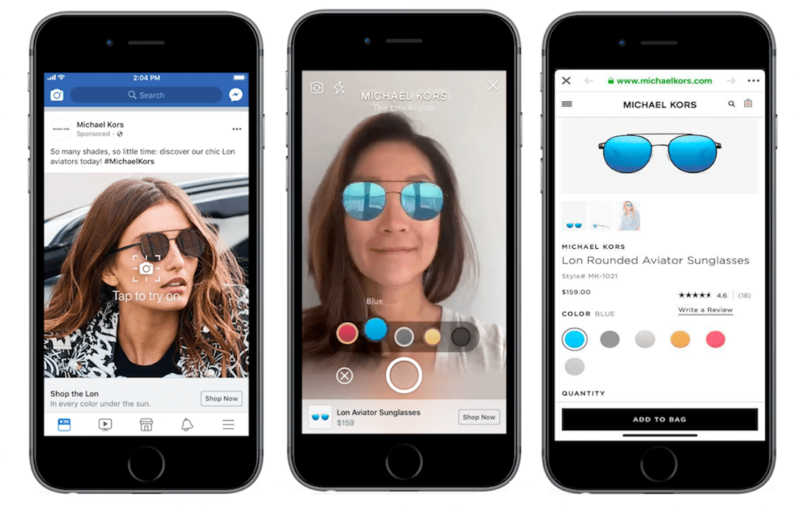 Earlier this year Facebook announced that it was working with businesses to test augmented reality in messenger. Now you can expect to see a similar experience in your News Feed with select advertisers testing AR ads. The feature will enable users to "tap to try it" from the main image. When tapped, users can place a digital version of the product onto their image using the Facebook camera so they can see how they look. If you like it, you can then tap through on the ad to make a purchase. Having released the highlights feature on Instagram, the Facebook team is now testing to do the same with Facebook Stories. Facebook has seen great success with reactions, both in posts, live video and now Stories so it's natural that they would want to explore adding this feature to Instagram. The new response tool was spotted by a user and shared by Matt Navara. Interestingly, there's no 'angry' reaction like there is on Facebook. Instead we have the clapping hands, laugh crying face, heart eyes, shock face, sad tear face and fire. 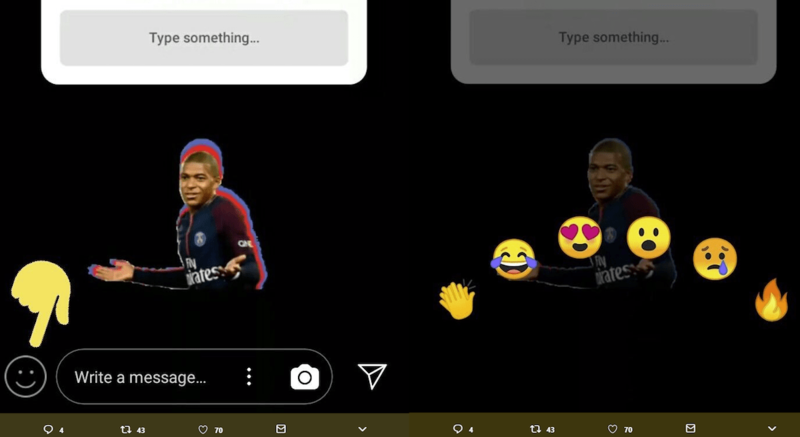 These emojis may be changed as the team tests this new feature on Instagram. According to Social Media Today, Twitter will start showing connected topics on their "Trending Topics" listings, making it easier for users to discover related content housed under multiple hashtags or topics. Did you lose a significant number of Twitter followers recently? You're not alone, even Katy Perry lost 2.8 million from her audience. This month Twitter announced that it was removing "tens of millions" of fake and inactive accounts, impacting the follower count of many Twitter users. Now if you're watching a video on Twitter you'll be able to dock it, so you can keep enjoying your timeline at the same time. Currently live on Android devices. Tap on the dock option at the top right of the screen to minimize your video but keep it playing as you scroll. Twitter is testing a new featured called "Promoted Trend Spotlight ads"". These ads are a big visual banner equipped with a GIF or image background featured atop Explore for the first two times you visit that day before reverting back into the Trends list. Snapchat has released an update that enables Spectacles owners to share their content in more formats including Circle, Square, or Widescreen. In a move meant to encourage people to purchase Spectacles, this update means footage can now be used across other platform including Facebook, Instagram, YouTube or wherever else you'd like to share your content. This as yet unreleased feature would reportedly allow Snapchat users to scan, identify and purchase an item simply by using their smartphone's camera. The "Visual Search" engine, code named "Eagle" links users to Amazon listing directly from the app. 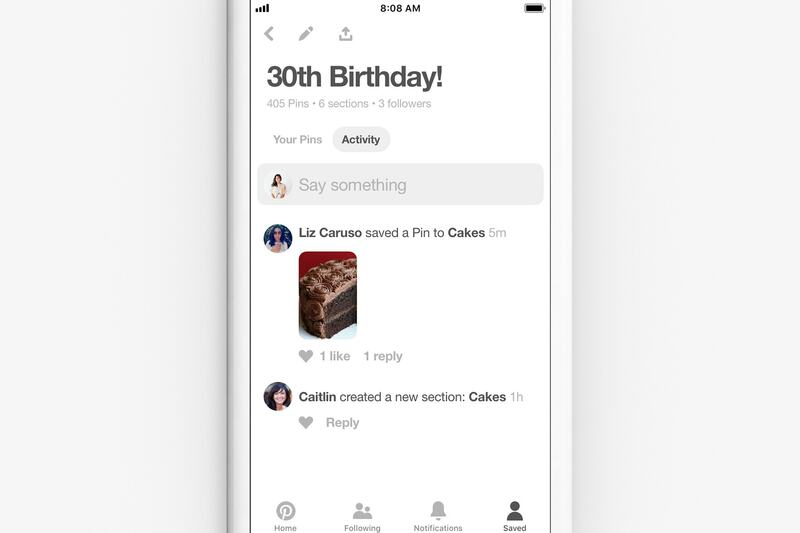 Users can keep track of new Pins added to the group and new member activity. The conversation is restricted to the group, helping you plan events or share interesting Pins privately. 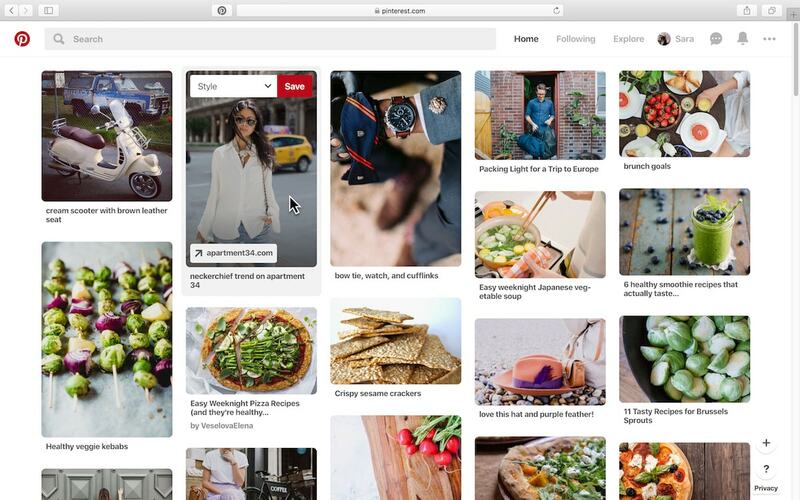 Pinterest also added a drop-down menu of your boards that appears on any Pin you hover over for quick organizing. It'll even predict which board you want to save a Pin to!